We love pulled pork, but I’m not a barbecue expert and had to peruse many recipes before I was able to decide how to put this together. My daughter requested the moist version using vinegar, instead of a dry rub, which is my preference too. 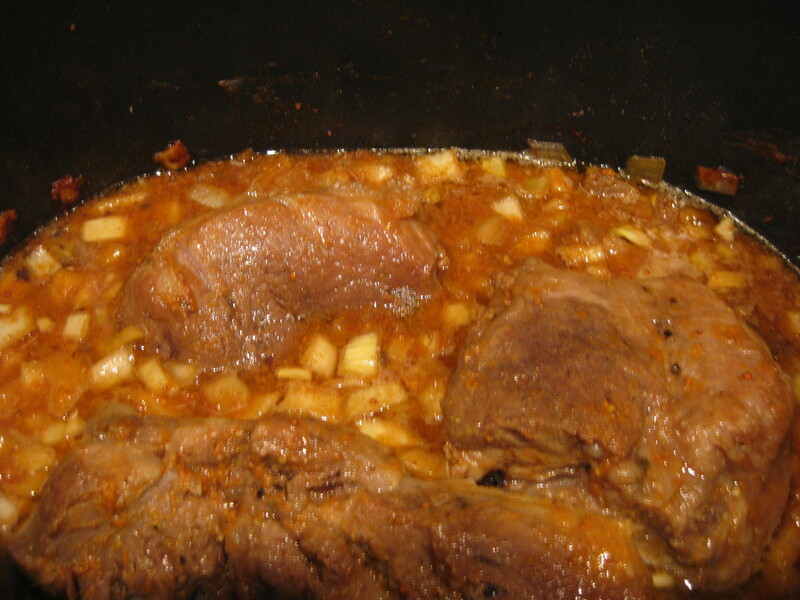 The finished pork is tangy and fall-apart tender. We’re having tis with Cheddar cheese biscuits and a vinegar coleslaw. To infuse a smoky flavor I sparingly used ground chipotle that offers heat and earthy undertones. Most recipes incorporated either a tablespoon of ground mustard or a couple of tablespoons of regular mustard. I thought 1/3 cup of a stone-ground was the best choice. 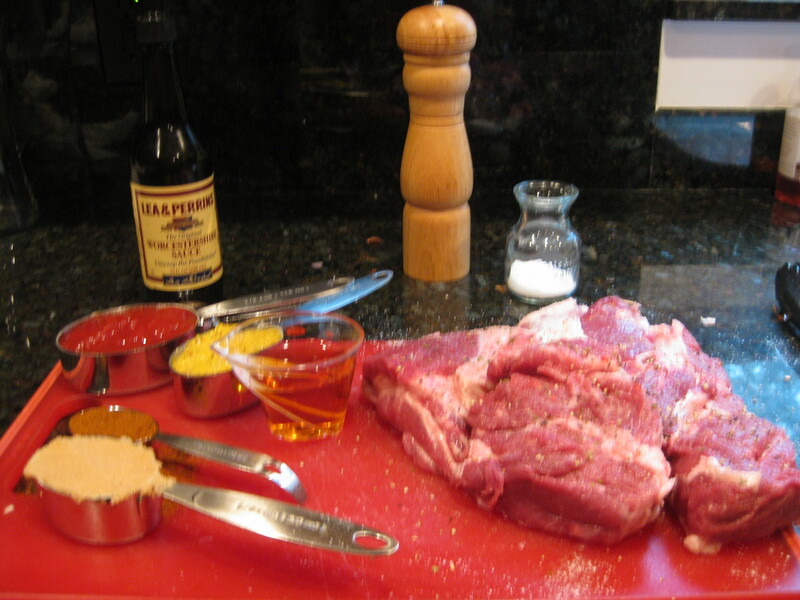 All ingredients measured and the pork shoulder. 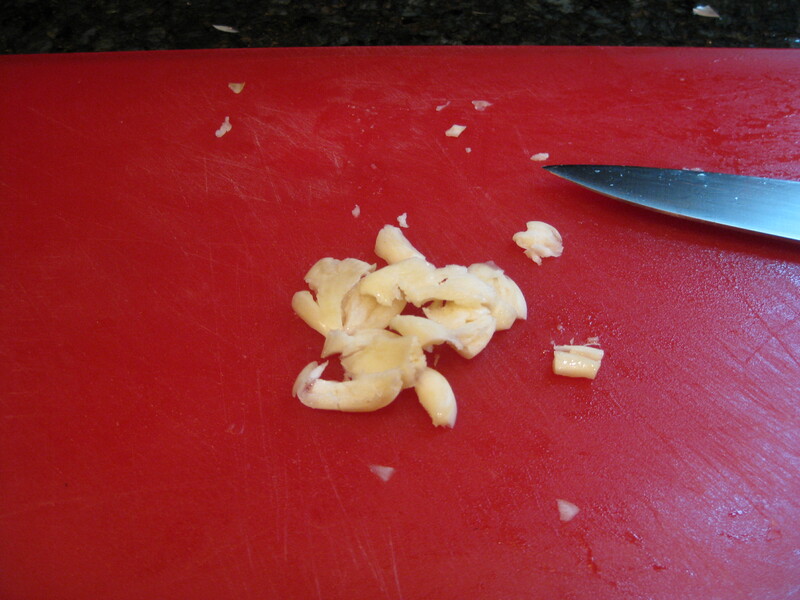 Four smashed garlic cloves – place the side of your knife over each clove and smack with the heel of your hand. Stir onion, ketchup, mustard, brown sugar, vinegar, Worcestershire sauce, garlic, and chipotle. After 2 hours, notice the expelled juices. It is definitely not necessary to add more liquid. Serve this with mini Cheddar cheese muffins or biscuits and a side of creamy coleslaw. 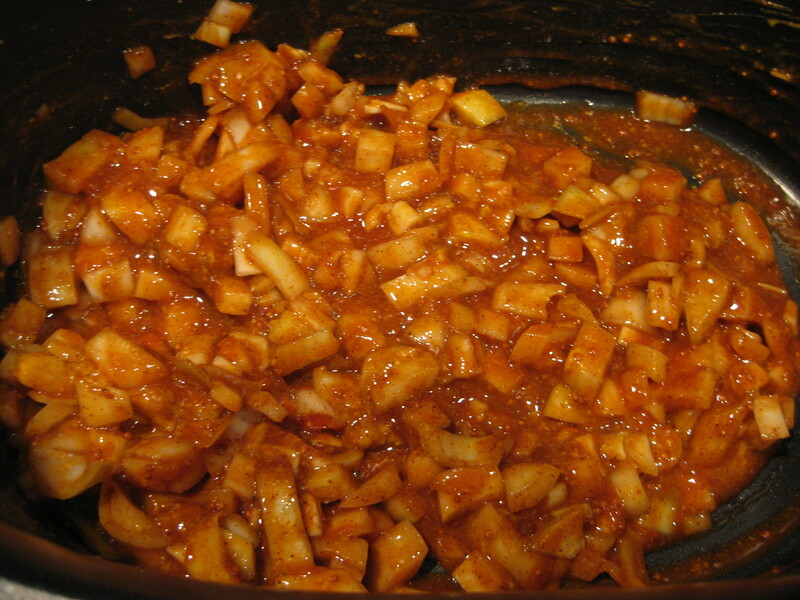 Mix the onion, ketchup, mustard, sugar, vinegar, Worcestershire sauce, garlic, and chipotle together in a slow cooker. Season the trimmed pork with salt and pepper and place on top of the sauce mixture. Turn the meat a couple of times to coat with the sauce. 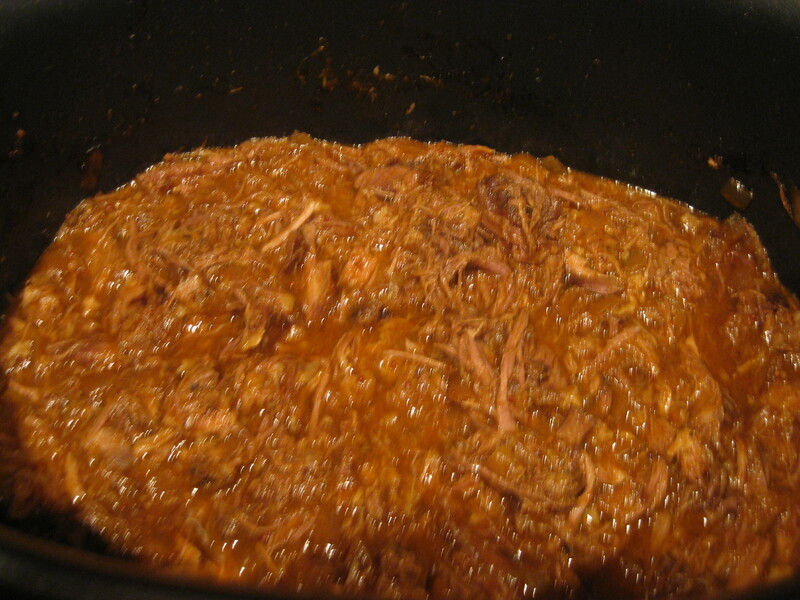 Set the slow cooker on low heat and timer for 8 hours; turn the meat every 2 hours. Place the pork on a board and let cook for 20 minutes. Shred the pork with a couple of forks and return to the pot. Cool and refrigerate overnight. 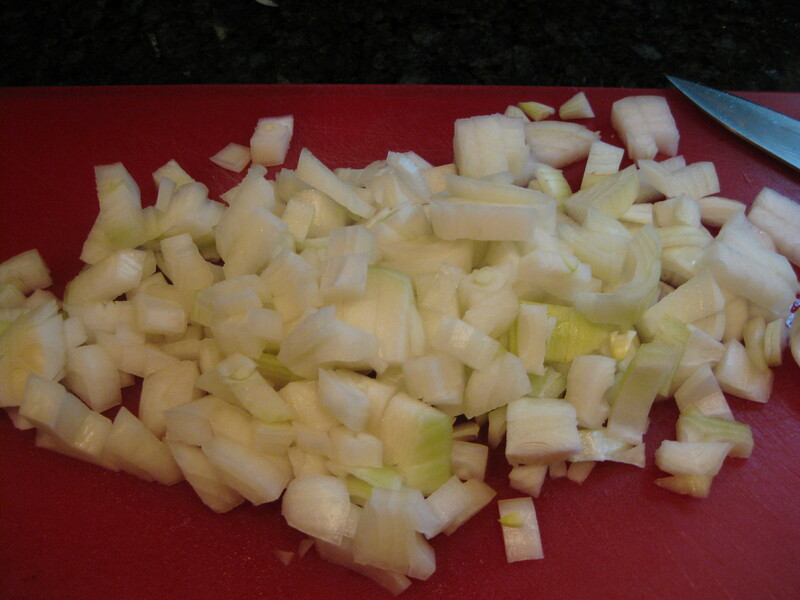 Remove the hardened fat and discard. Serve or freeze for another day. Don’t be tempted to add more liquid; the meat will expel juices and fat and add volume. You want the sauce to have an intense in flavor!